Do we need to know the risks before installing Skylight? Make sure roof seals are correctly sealed and not offering a way to water to penetrate in the roof. Rainy weather and snowfall can cause destruction. Nowadays modern skylights are leakage prone, but it depends on whether it is installed correctly or not. Skylight transfer heat to roofing material that causes more leakages eventually, so we need to pay attention to the maintenance cost. Hailing and the stormy condition can easily crack skylight. We all know it can be the weakest part of the roof. If the roof bears extra weight loss on the rest of the roof, then skylight may fail to carry the excess weight. Such reason can weaken the skylight. 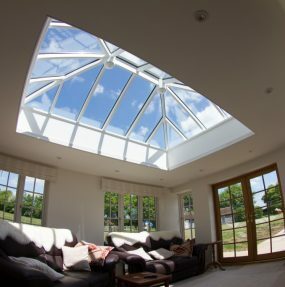 Skylights brighten up your place, and excessive UV exposure allows too much light which is not good. It can destruct furniture, hanging items and so many things that you have placed in the room for designing purpose. It also affects the skylight, so we need to know this on an immediate basis. Skylights do have a negative impact on energy budgets. These skylights affect traditional materials. When it comes to winter, then heat efficiently make its way to escape, and in summers you would see heat seeping in the building. Skylights can bring a huge change to interior temperature. For the maximum benefit for availing natural light, we need to dedicate some part of the rooftop. The small roof would be an issue for this, but it can be easily handled with larger roof space. Space constraints need to be solved before installation for skylights. Skylights add aesthetic appeal to the building and can reduce the electrical lighting. There are so many drawbacks where homeowners need to pay attention. Make sure you all are aware of hidden installation cost that increases roof maintenance and safety precautions. With the Skylight windows in Essex brochure is given to the customers to let them know what things we need to know before installation and what safety precautions we need to follow.